Cultured opal shimmers with a beauty unlike any of its predecessors. 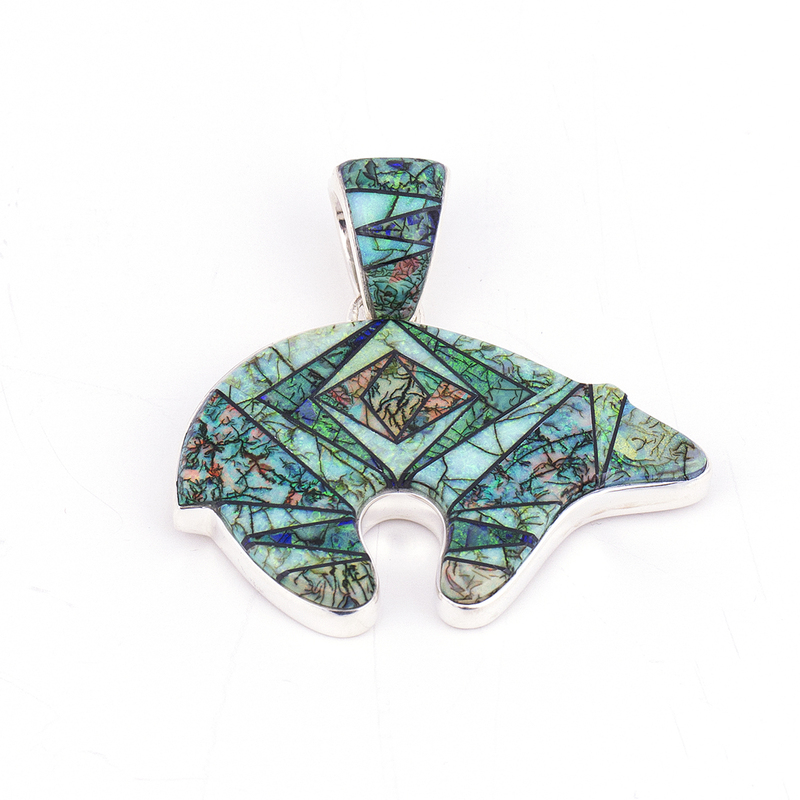 Navajo artist Calvin Begay has designed this healing bear pendant using a geometric kaleidescope of blue green cultured opal and black jet. The reverse side is an intricate silver pattern. The healing bear symbol will bring you good luck and health as a powerful Native American totem. 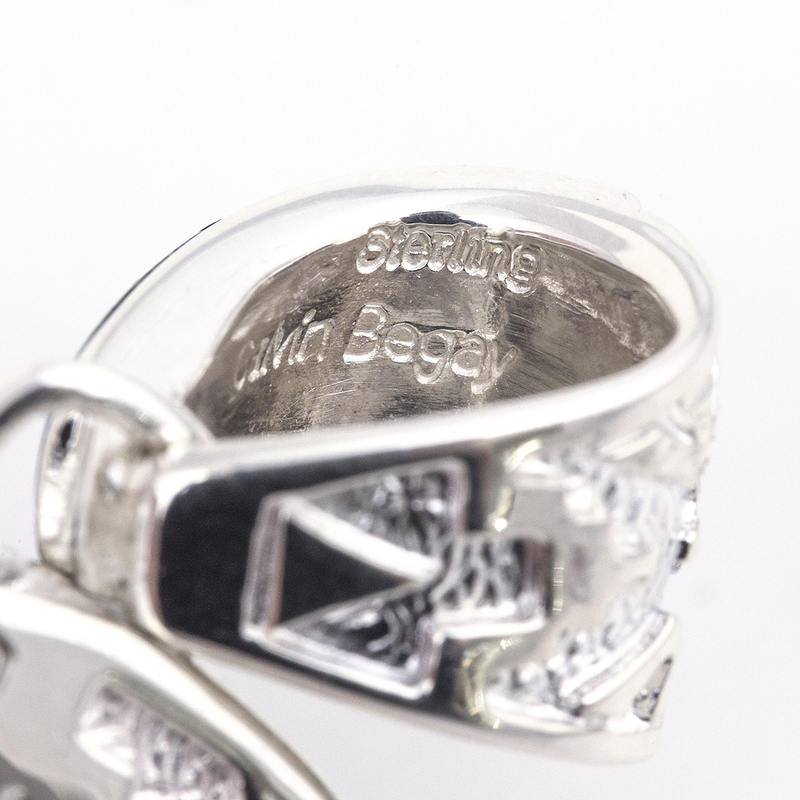 Hallmarked “Calvin Begay” and stamped sterling. Weighs 27.1 grams. Measures 2″W x 1 3/8″H + 3/4″ bail. We offer complimentary gift wrap – just ask! 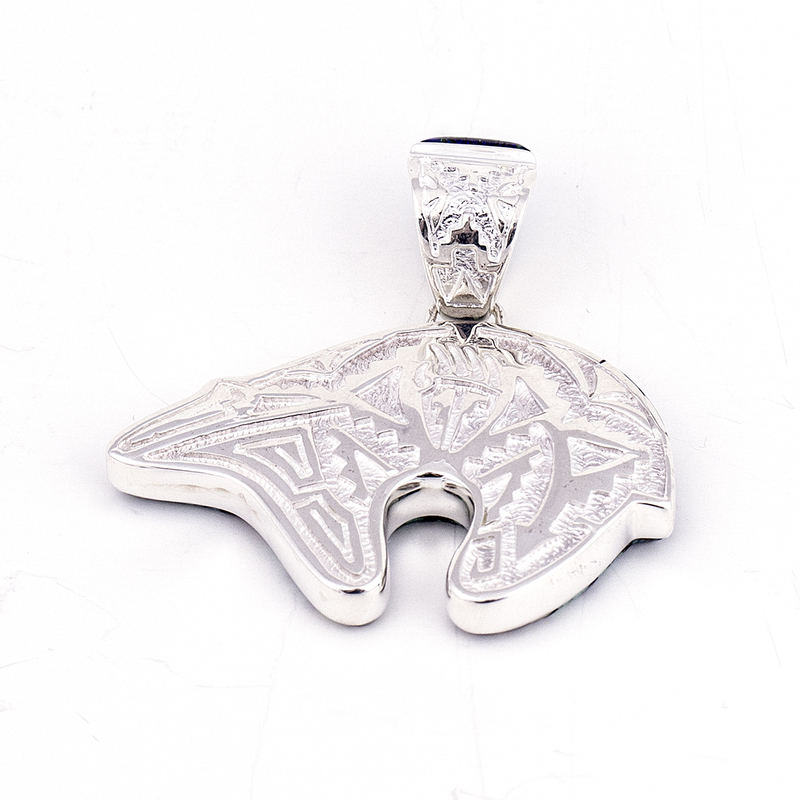 Calvin Begay Cultured Opal Bear Pendant is double-sided with a geometric pattern on one side and an intricate all silver design on the reverse.